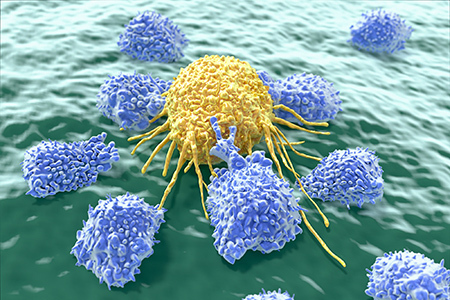 This application note describe a workflow that produces primary human natural killer (NK) cells at clinically relevant scale. CD3-/CD56+ cells were obtained using a functionally closed, semi-automated isolation process. A Sepax™ C-Pro Cell Processing System with the BeadWash C-Pro protocol was used in conjunction with a CliniMACS™ Plus system. NK cells were then cultured without feeder cells under xeno-free conditions. After cells reached the desired volume and viable cell concentration, they were transferred into a Xuri™ Cell Expansion System W25. At the end of culture, cells were harvested, volume-reduced, washed, and formulated into 100% CS10 medium using a Sefia™ S-2000 system, which supports automated and functionally closed processing. Formulated cells were then cryopreserved using a liquid nitrogen-free VIA Freeze™ Controlled-Rate Freezer. Cultures were periodically tested for their characteristic phenotype and functional killing efficacy.